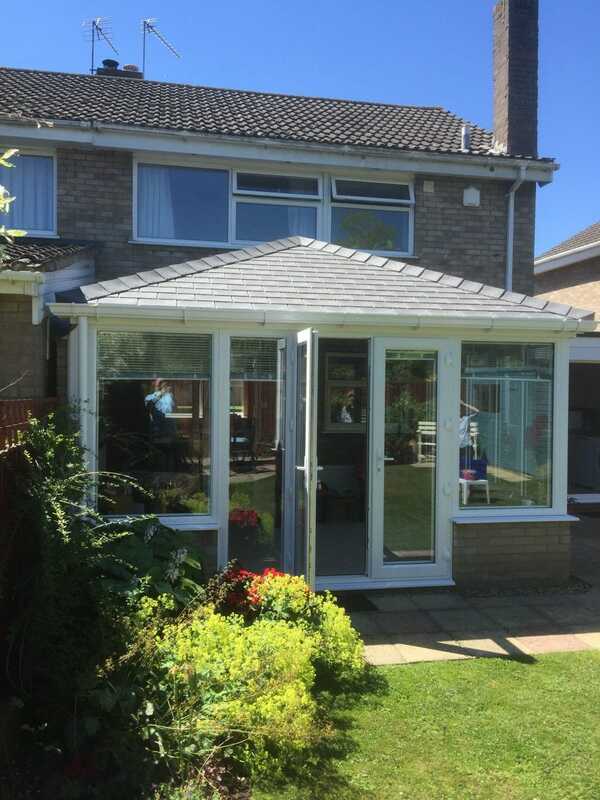 We recently completed a couple of Equinox Roof projects. 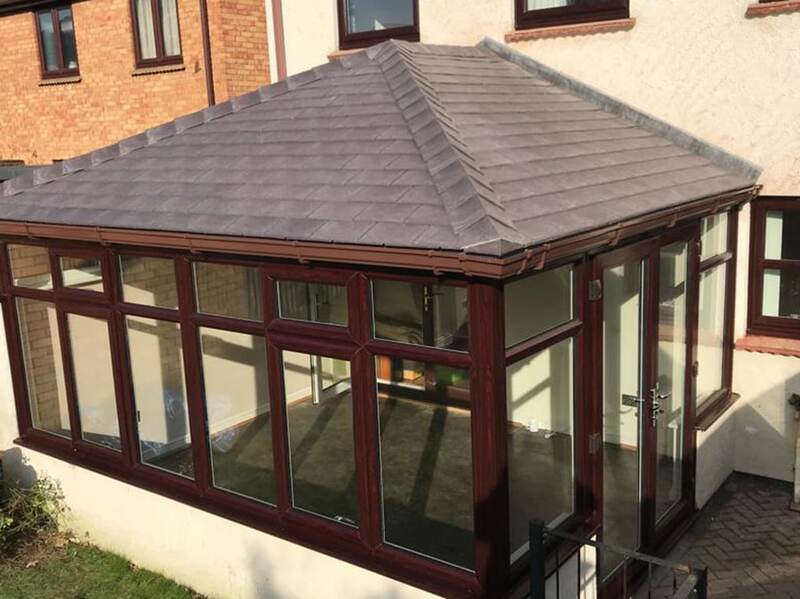 One for a uniquely shaped conservatory and another for a simple porch. 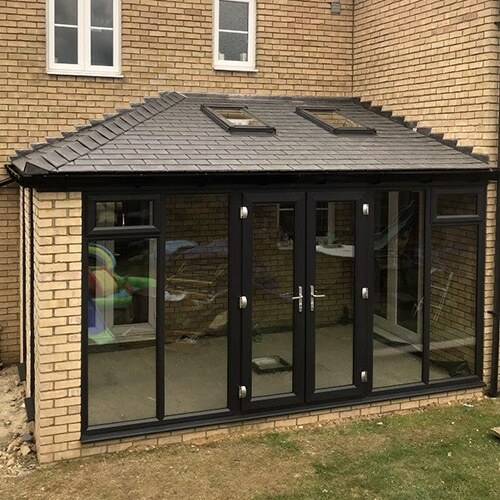 As you can see, it’s a truly versatile system that brings the look of slate without the associated upkeep. 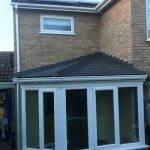 Contact the team for more details or to get a quote to replace your conservatory roof. 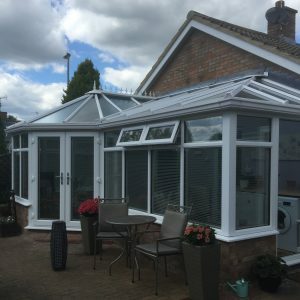 There are many different options to choose from when considering your conservatory, make sure you have a vision in mind before beginning. 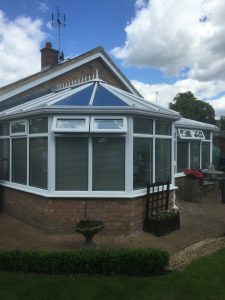 “When we started our conservatory, we began by looking to build one we had seen in a brochure. 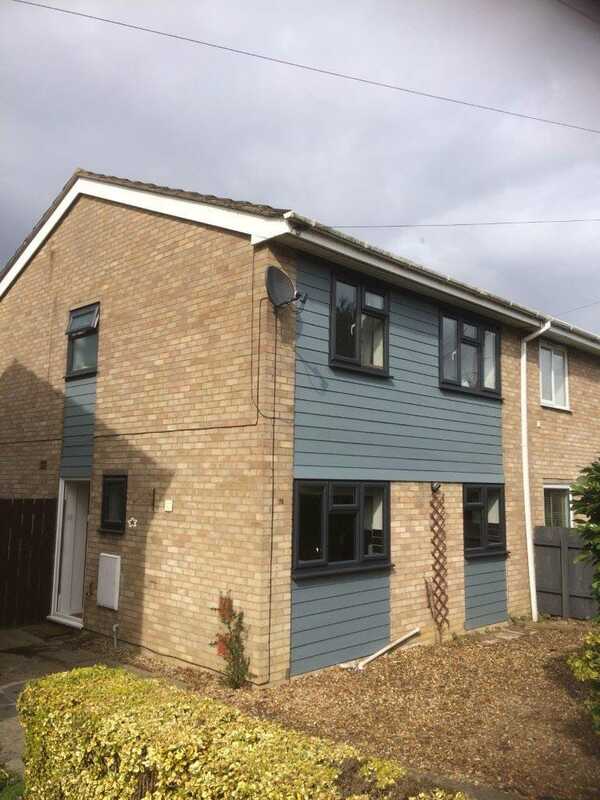 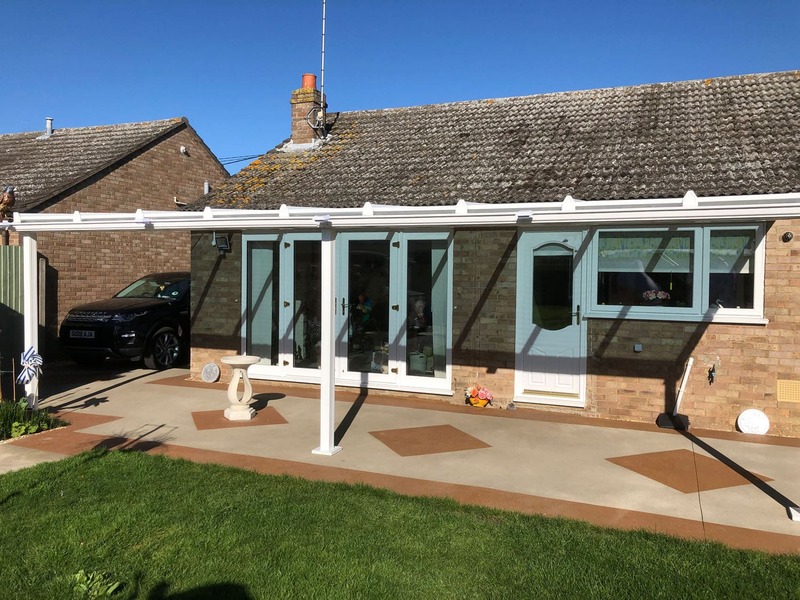 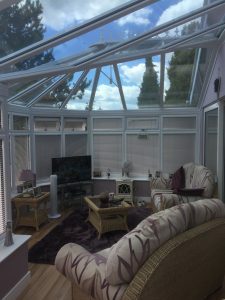 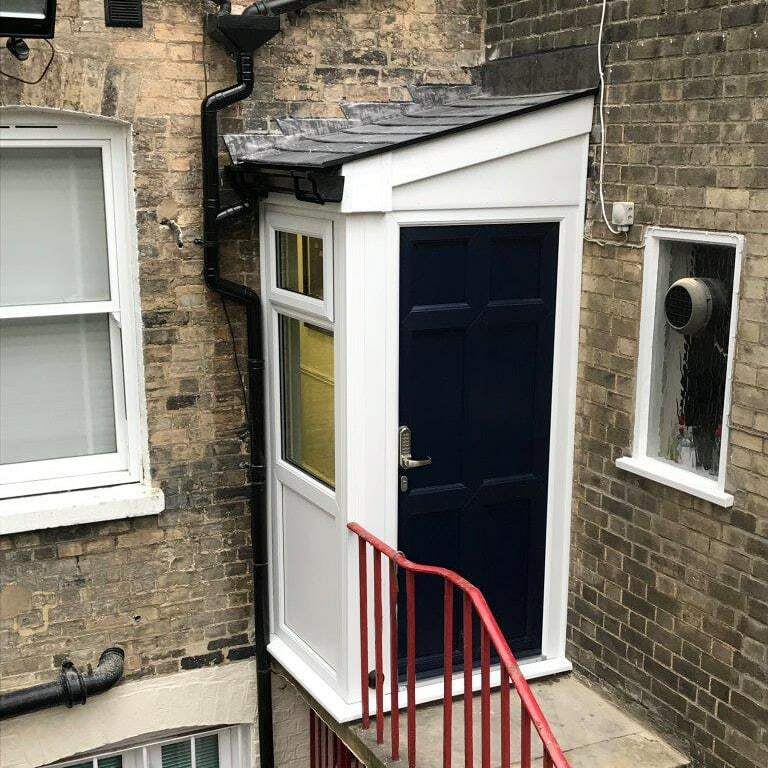 However, it soon became apparent when we contacted a specialist that there was so much more that could be offered for a conservatory aesthetic. 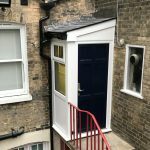 Everyone and their dog has a story about building work that snowballed into more than they considered. Planning effectively can help your conservatory build to progress smoothly. Seek out a specialist and utilise their expertise to create your vision and add a special room to your home. 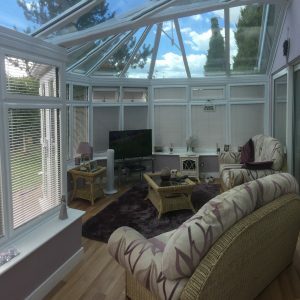 Elglaze is a perfect choice! 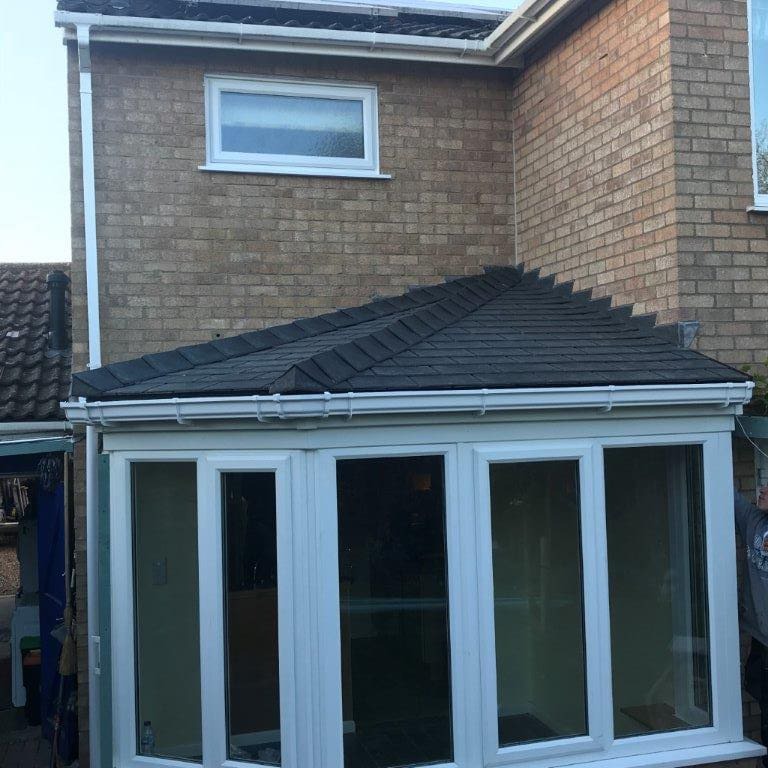 This is a new P-Shape Conservatory recently completed in Cambridgeshire by the Elglaze install team. 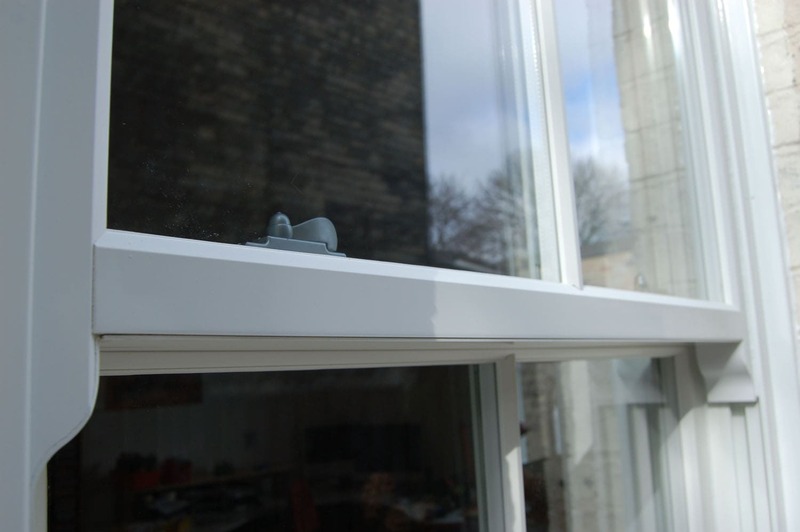 We took the customer from initial conception of the idea through to design and manufacture and finally the build. We think the traditional look really compliments their garden and with the perfect fit blinds to help with shade on the interior, this is a fantastic addition to the home perfect for the summer months. Take a look at more of our P-Shape Conservatories and if you are considering a conservatory or looking for ways to update your existing conservatory, give the team a call or request a callback via the form. 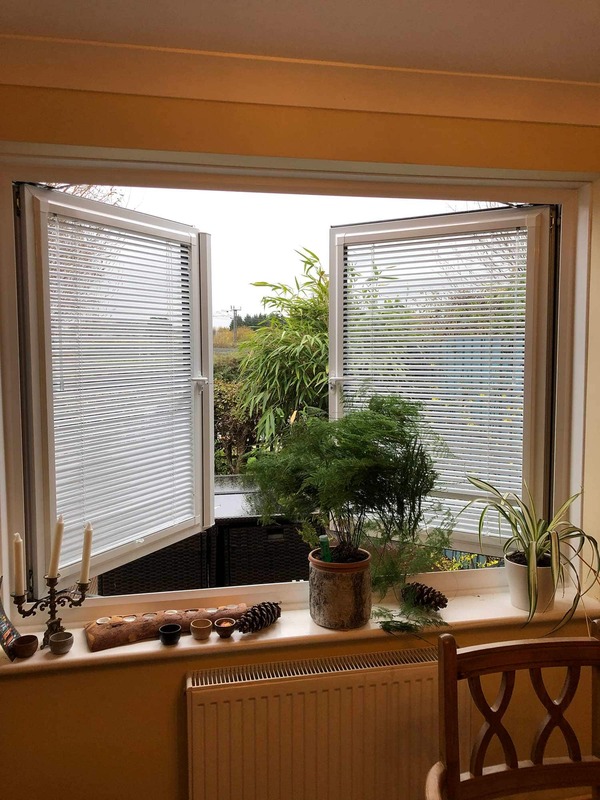 We’ll help you make your home improvement dreams a reality!